Our client, Simply August, wanted a simple, elegant way to showcase her fashion & lifestyle blog articles. We designed Brenda a very easy-to-update WordPress website which shows off her photography, while incorporating her ShopStyle widgets and Instagram feed. 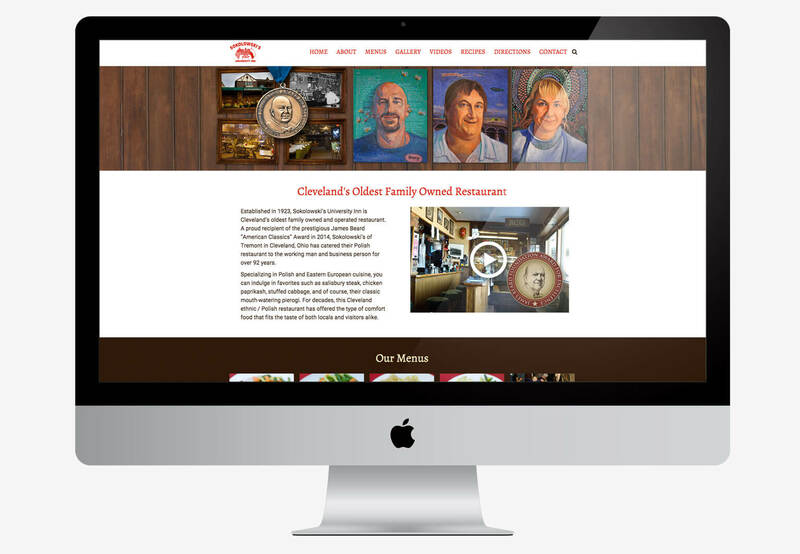 We designed Sokolowski’s, Cleveland’s most popular Polish-American restaurant, a new responsive website built with the easy-to-update Content Management System, WordPress. They can easily update their restaurant menu and specials with the click of a button. Freckled Fin is a popular new restaurant on Anna Maria Island’s Bridge Street. Using our very own ‘Brain’ WordPress Theme, we created a beautiful & easy to manage website featuring updatable menus and a sophisticated events manager. 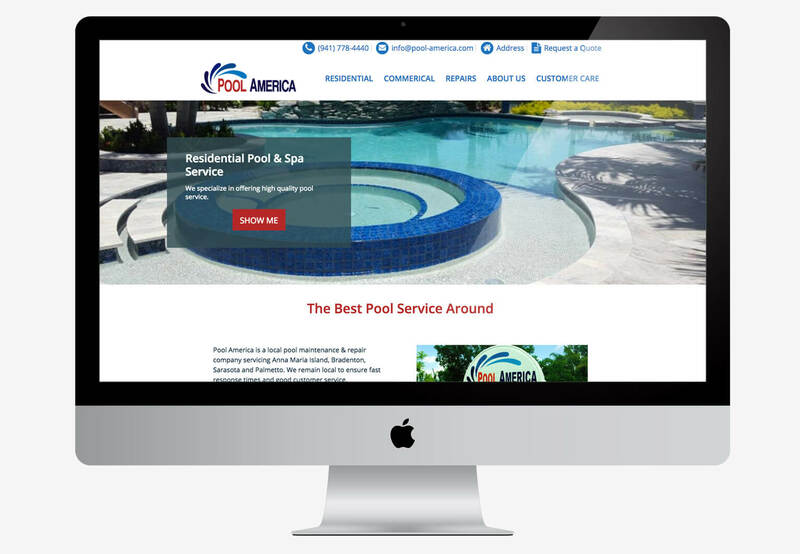 Using our very own ‘Brain’ WordPress Theme, we created a beautiful & easy to manage website for Pool America. In addition, we used our local & advanced SEO services to help them get ranked higher in Google. 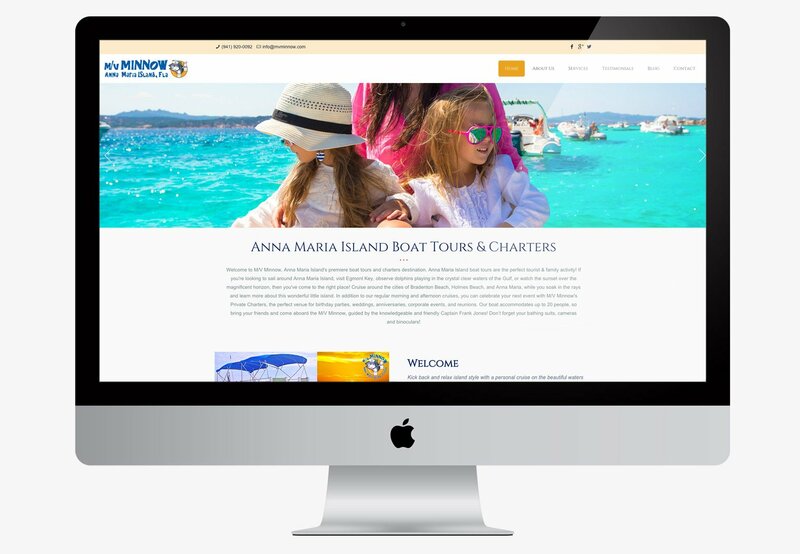 We set M/V Minnow, an Anna Maria Island-based boat charter, up with a premium WordPress theme they can update and manage. In a tourist economy this is highly beneficial, as most tourists are in search of local businesses on their phones, so we optimized M/V Minnow’s website for SEO and for a user friendly mobile experience. 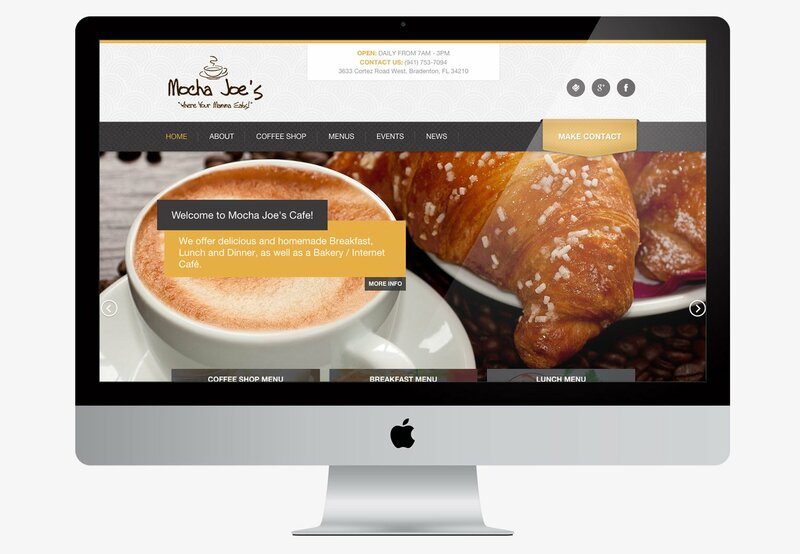 We set Mocha Joe’s Cafe up with a responsive WordPress content management system they can manage. Some features of their website include food menus, a gallery, contact form, and blog. We also shot photography of the interior. 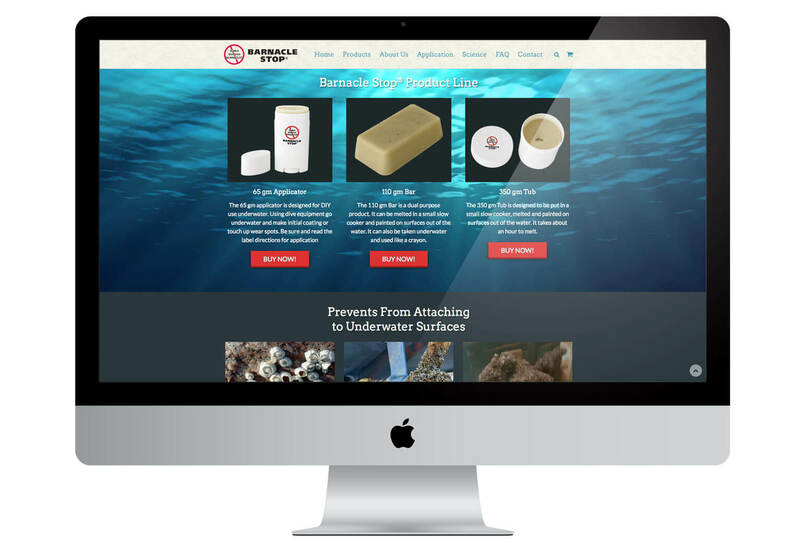 Barnacle Blocker needed a responsive website with an integrated e-commerce shop. In addition, we shot and produced a promotional business video featuring Dr. Beckham, the owner of the company. 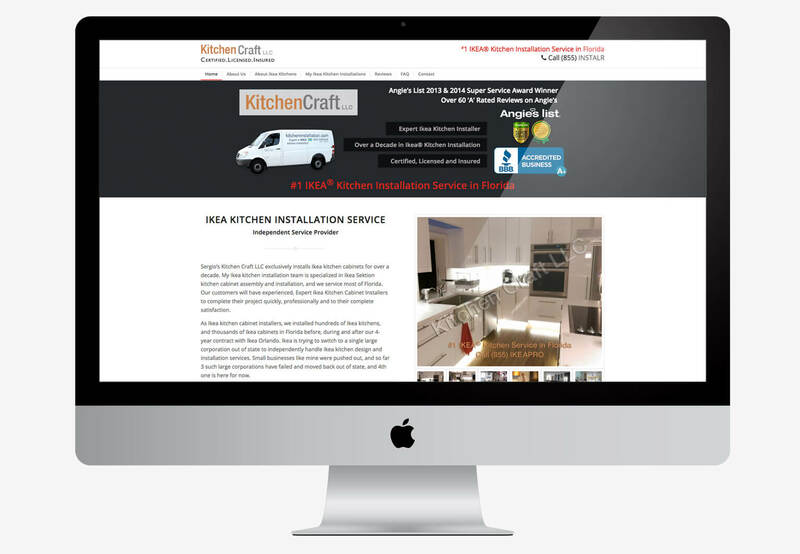 We designed Kitchen Craft LLC a beautiful, responsive WordPress website that can easily be managed. 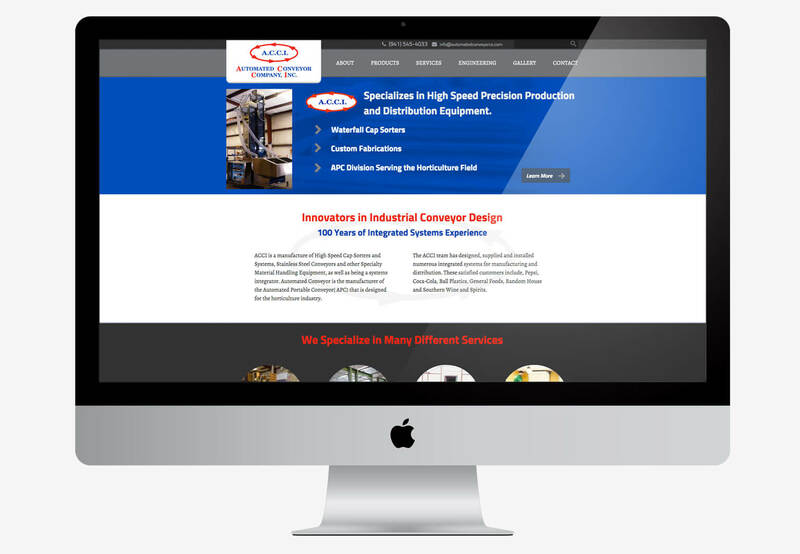 The website features a “Before and After” portfolio plugin, Testimonials, and a custom Layerslider. Our client needed to show off his vast portfolio, so we installed a unique photo gallery plugin that can best handle and organize large quantities of photographs. 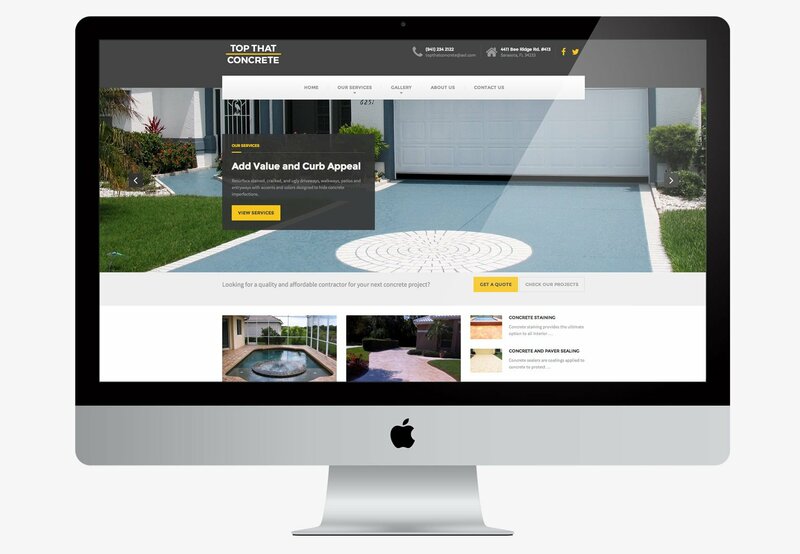 We set Top That Concrete up with a responsive WordPress content management system they can manage. 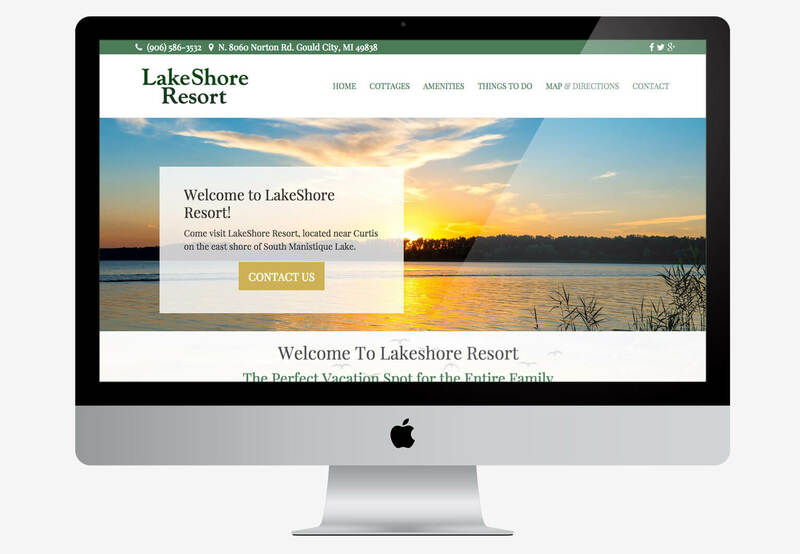 Some features of their website include a services section, a gallery, testimonials page, contact form, and blog. We also helped them with Search Engine Optimization and got them to the first page of Google in just a few weeks. 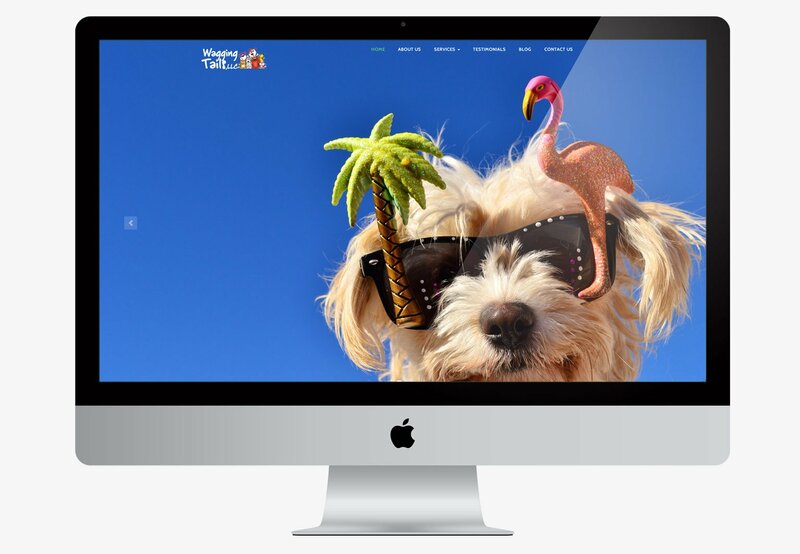 Wagging Tails wanted a quick, affordable solution for their business so we set them up with a responsive WordPress content management system they can manage. Some features of their website include a services section, a cute gallery of their past ‘clients’ (pets), testimonials page, contact form, and blog.